Meteorologists downgraded Hurricane Florence from a powerful Category 4 storm to a Category 2. And then they downgraded it to a Category 1. That's when Wayne Mills figured he could stick it out. He regrets it. 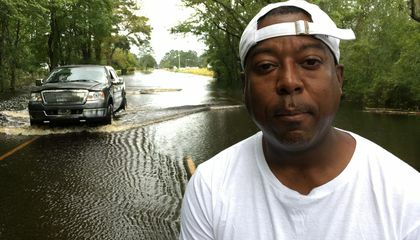 The Neuse River is normally 150 feet away, but it lapped near his door in New Bern, North Carolina, last Sunday. This was even as the storm had "weakened" further. People like Mills can be lulled into thinking a hurricane is less dangerous when the rating of a storm is reduced. But those ratings are based on wind strength, not on rainfall or storm surge. Water is responsible for 90 percent of storm deaths. Several meteorologists and disaster experts said something needs to change with the 47-year-old Saffir-Simpson Hurricane Wind Scale. 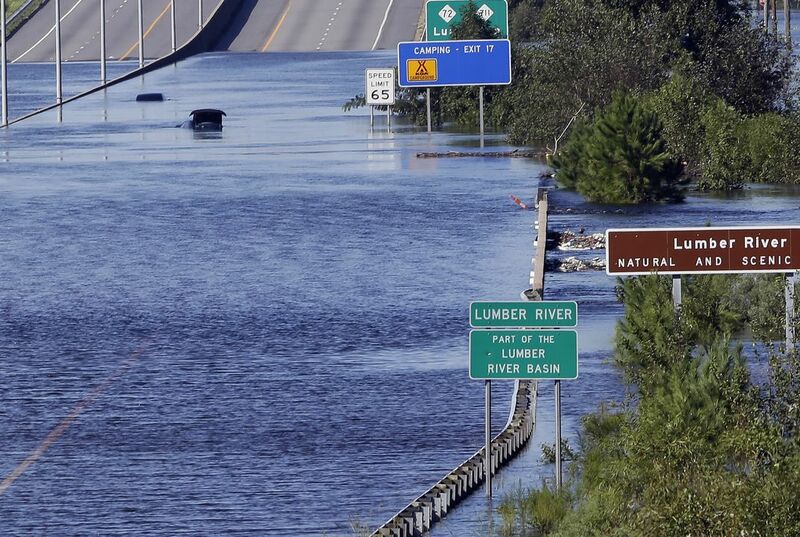 They seek a change to reflect the real risks in hurricanes. They point to Florence. And they point to last year's Hurricane Harvey, 2012's Sandy and 2008's Ike. All were storms where the official Saffir-Simpson category didn't quite convey the danger because of its emphasis on wind. "The concept of saying 'downgraded' or 'weakened should be forever banished." That's according to Marshall Shepherd, a University of Georgia meteorology professor. "With Florence, I felt it was more dangerous after it was lowered to Category 2." Once a storm hits 74 mph it is considered a Category 1 hurricane. It ratchets up until it reaches the top-of-the-scale Category 5 at 157 mph (252 kph). Florence hit as a Category 1 with 90 mph winds — not a particularly blustery hurricane — but one that dumped nearly three feet of rain in parts of North Carolina and nearly two feet in sections of South Carolina. It's only going to be more necessary in the future because global warming is making hurricanes wetter and slower. This makes them drop more rain, Shepherd said. University of Alabama's Jason Senkbeil studies the intersection of meteorology and social science and is working on two different new hurricane scales using letters. They will describe danger or potential damage. Florence would be an "Rs" for rainfall and storm surge. The rating system is misleading because its based on wind and the wind does not make or brake how big the storm is. The rating should also have how much rain is coming and flood warnings. This was so tragic!! ???????? The rating system is misleading because it doesn't say how much rainfall or how much water flooded from the hurricane. the rating system is misleading because it doesnt say how much rain fall came in or how much water flooded from the hurricane. I think this new system they are working on will help people understand the impact and how much damage the storm can do. SO now instead of rating the storm by number they will rate by letters. The letters will describe the danger and potential damage. This passage really helped me understand that even if the say the storm downgrade it is still very dangerous and deadly. Now while I believe that the system used for categorizing storms works well. It does not work well enough to convey the message of how dangerous it is for people to be staying in the area. I agree that the weather should work more with social scientists to better convey the message of how dangerous it is to be staying in a hurricane. The categorical system used only accounts for wind speed when it really should account for both wind speed and amount of rainfall. I would throw my two cents into how the system should be made but I don't have enough experience in that field to say much on that.